PrestaShop shows a standard product combination even if it is out of stock. 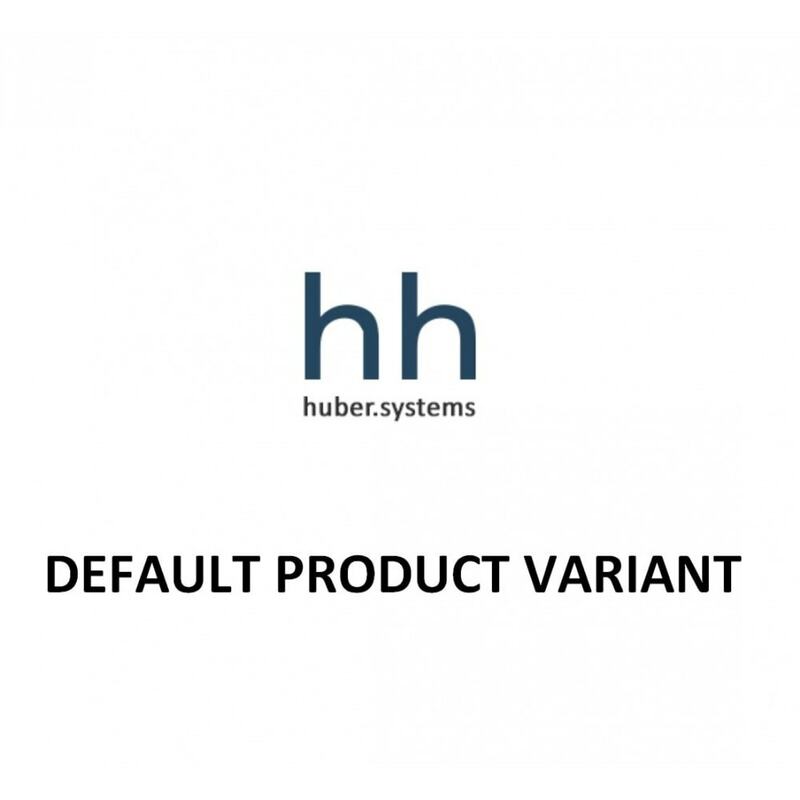 This Module sets a new "default product variant(combination)" if the product quantity is 0. 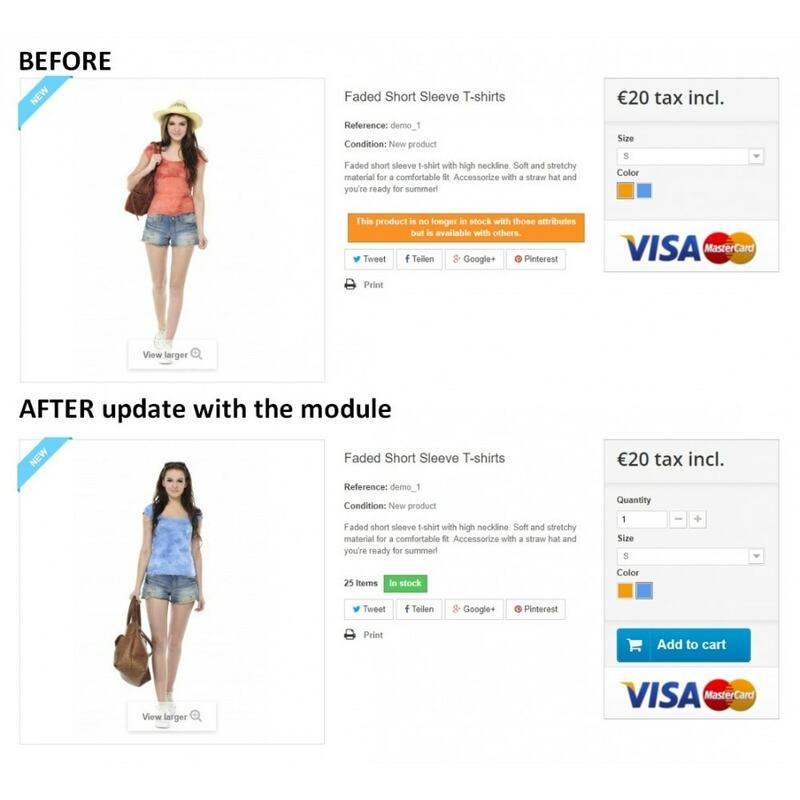 This module help you to show available products per default. Changes default product combination if default one is out of stock. Check combination quantity after checkout (hookActionValidateOrder). Set new default product combination when user buy the last variant. 2) Change all default product combinations manually with one click. 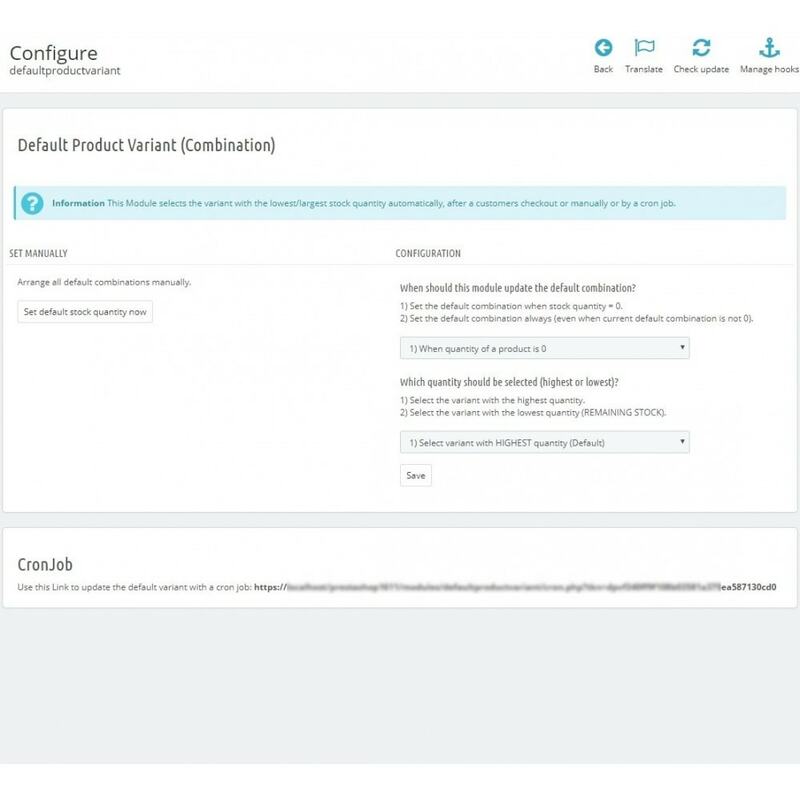 3) NEW: Change all default product combinations manually with a cron job. 4) Chose if you want to select the variant with the highest quantity or lowest quantity in stock (REMAINING STOCK). Select the highest or lowest quantity of a variant (REMAINING STOCK). Now you can use a Cron Job to update your products. Update default combination when stock quantity is 0. Show always combination with largest stock quantity.